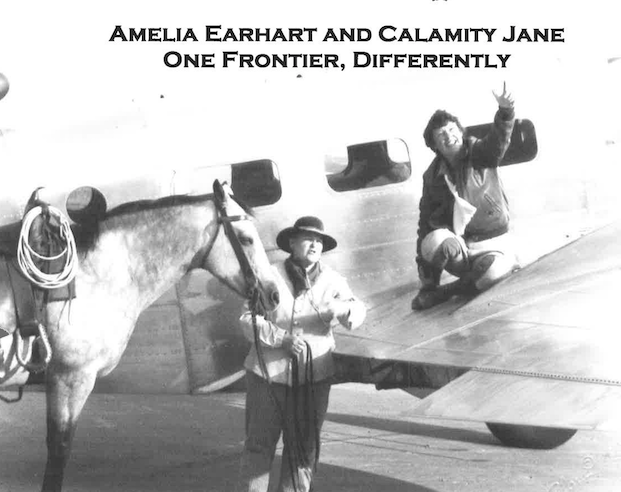 Amelia Earhart and Calamity Jane. One Frontier, Differently. The land by horse; the sky by plane. Calamity journeyed the West; Amelia's frontier was the world. Their lives overlapped by six years. Amelia when young kept a scrapbook of women who explored new frontiers. What if she had seen Calamity Jane at the Iowa State Fair?